Improvised traps are a great hunting tool. They can hunt for you while you are doing other thinks, but they do have a couple of drawbacks. For one thing trapping is a numbers game. Not every trap will catch an animal every time; so the more traps that you can set, the more you increases your chances of catching some dinner. The second problem with traps is that, if they are very complicated, they can take a long time to construct. The figure 4 deadfall is a beautiful trap and very effective, but it requires a lot of material selection, whittling, fitting and balancing. The deadfall trap illustrated below requires very little preparation. If you already have something to bait the traps with, you can make a lot of them in a very short time, and they work. The most time consuming part of setting these traps will probably be finding a good trapping location for them. 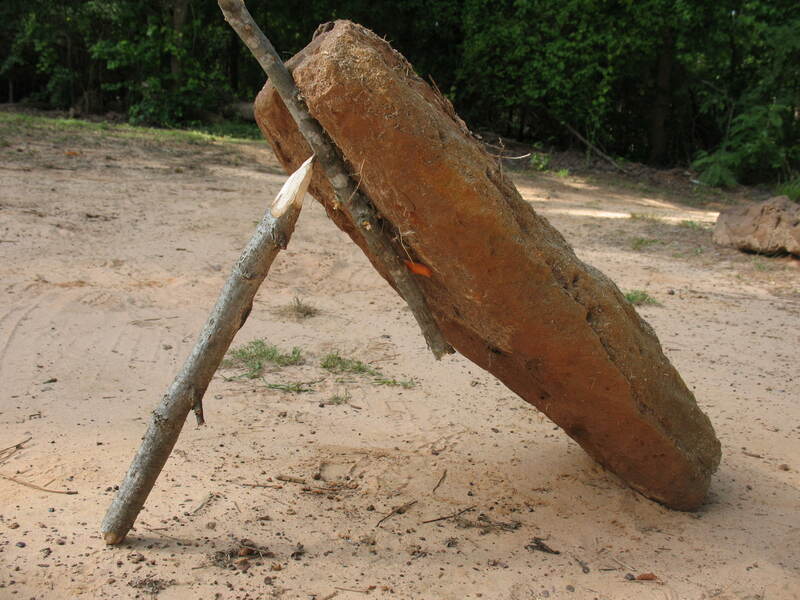 To make this trap you will need a flat rock to use for the deadfall, and a couple of strait sticks. The size and length of the sticks will depend on how big of a trap you make. A pocket knife will make it easier, but you can build this trap without one. First you will need a good, heavy, flat rock to use for the deadfall. Now take one of your two sticks and whittle or grind one end of it to a point. 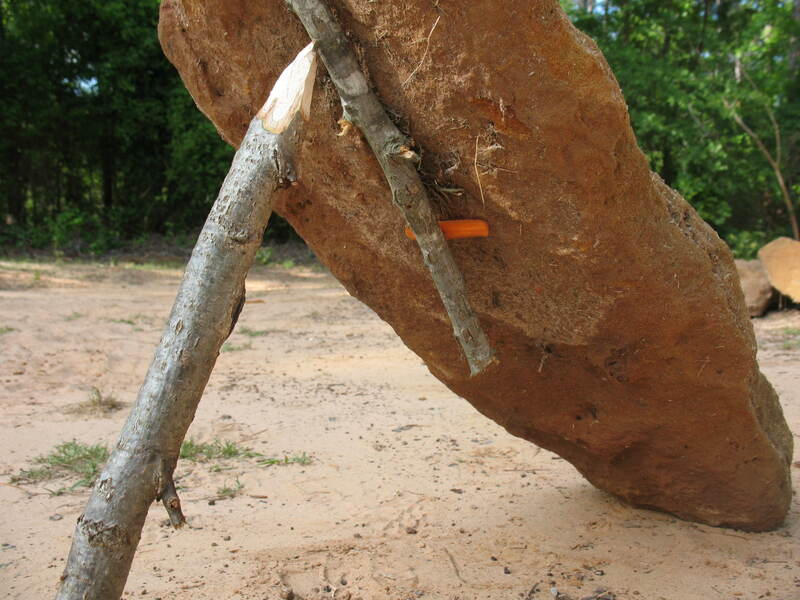 Hold the deadfall up and place the other stick along the underside of the rock with your bait wedged between the stick and the rock. Now place the pointed stick with the flat end on the ground and the pointed end against the bait stick. That’s it! When the animal tries to pull the bait out, it will move the bait stick a little bit. This will cause the pointed stick to become dislodged, and the trap will spring. Quick and easy The only thing that you have to look out for is to be sure and position the pointed stick so that it doesn’t catch the deadfall and keep it from collapsing to the ground. 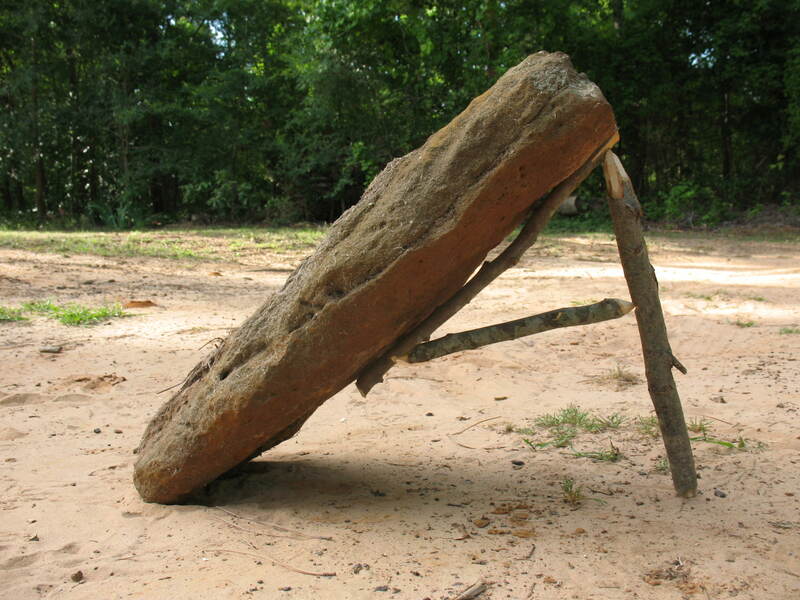 You can increase your chances for success by placing a second flat rock on the ground under the trap. This will catch the animal between two hard surfaces and insure a quicker and cleaner kill. You can use this same basic concept to make a trap that is faster and a little less likely to hang-up, but it is more complicated. The trigger is illustrated in the two photos below. In this configuration the upright stick is moved out to the very end of the stick that lies on the underside of the rock. A baited cross-stick keeps the trap from springing until the bait is moved. 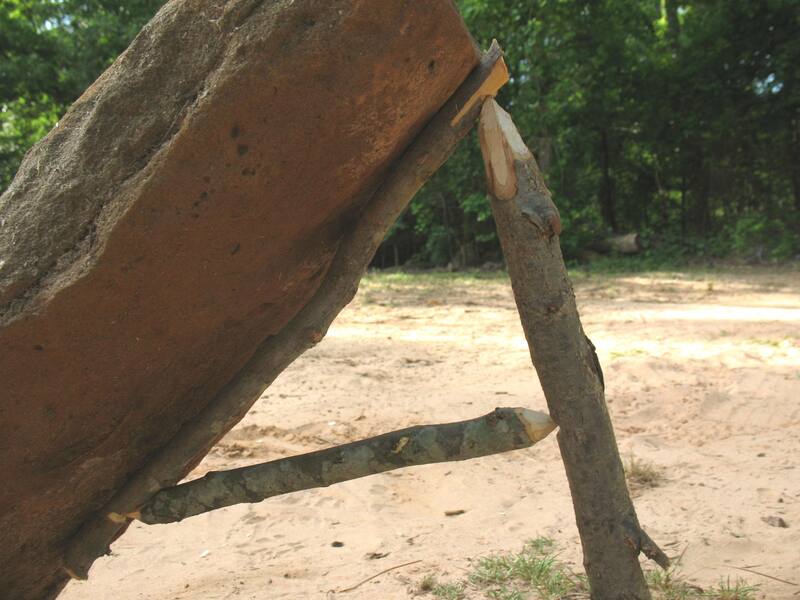 This set-up will throw the upright stick out and keep it from accidently catching the rock as it falls. It’s a good trigger, and the notches are not nearly as complicated as a figure-4 trap, but you almost need three hands to set it. If you are working with a partner, this is a good trap to use.